Another month and another pillow....I had lots of fun doing this one!! Quiltshopgal over here....http://quiltshopgal.com/ gave us 3 options again, and I chose #1, which was based on the 2012 FMQ Challenge by Patsy Thompson. so, here is my version for this month...based on borders( mainly). 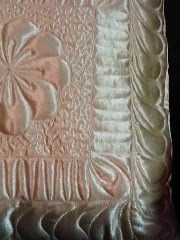 This pillow is a satin fabric...quilted on my Tiara, using Signsture thread top and bottom. I quilted the flower in th Center, then some dense stippling. first border is squiggly lines...second border is a single feather spine...I used the Versa Tool for the straight lines of the borders. 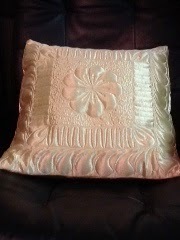 I am linking up to Quitshopgal at th above link...come take a look at the rest of the pillows for this months challenge. The satin fabric makes your pillow look so elegant! Very beautiful and the quilting is wonderful. Oh my gosh, that is just fabulous! 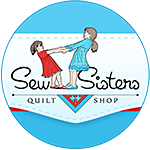 You are an incredible quilter! I never used satin fabric...looks very pretty. 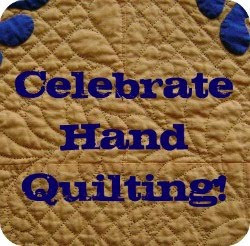 Your quilting looks lovely. So pretty in the Satin Fabric... pretty stitching.